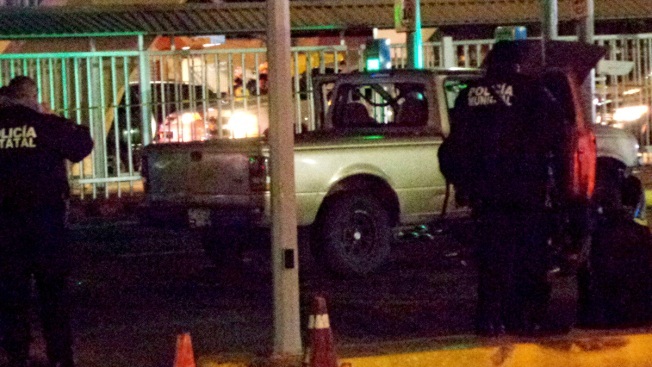 Officials stand at the scene late Thursday, Feb. 7, 2019, at the Port of Entry in Nogales, Ariz. A Customs and Border Protection officer shot and wounded a driver who was trying to enter Mexico at a crossing in Arizona, the agency said Friday. A Customs and Border Protection officer shot and wounded a driver who was trying to enter Mexico at a crossing in Arizona, the agency said Friday. A CBP statement said he was wounded and taken to a hospital in Mexico. His condition and further details on the incident were not provided. CBP said it would release more information later Friday. The shooting occurred in the border city where U.S. troops recently installed razor wire along some portions of an 18-foot border wall, in some spots reaching nearly ground level. 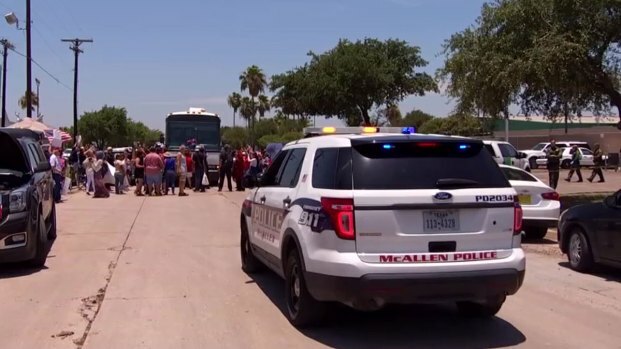 Tempers hit a boiling point Saturday outside of the Border Patrol station in McAllen, when protesters saw a bus full of migrant families trying to drive by. The demonstrators gathered in the streets and blocked traffic.